In our younger days, most of us wished that we were older. Now that we are older, we quite often wish that we could turn back the clock and have the energy and vitality that we had in our younger days. 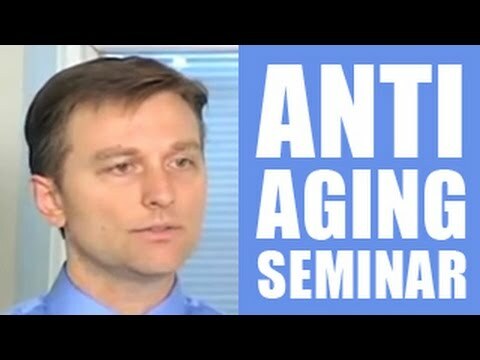 Research suggests that the primary cause of the aging process is down to changes in the bodies hormone levels. Therefore, if we could somehow bring those hormone levels back to where they were a few years ago, we could slow down the aging process. Could it be that easy or are there other elements to consider. To help restore the imbalance and increase these hormone levels, there are several natural, over the counter products that can be bought. For instance, the soy product has been used extensively to help balance hormone levels. It is also possible to use creams that provide extra hormones when they are absorbed into the skin. One of the greatest threats to our health comes from that posed by Free radicals. Free radicals are unstable renegade oxygen molecules that literally collide with other particles and tissues within our bodies. In order to gain stability, they search out other molecules to combine with. Not all free radicals are bad as the good ones help your body to fight inflammation, kill bacteria, and help control the tone of your smooth muscles, which in turn, help regulate the workings of your internal organs. The threat from free radicals is posed when there are too many of them running riot in your body. Not only do they attack unhealthy parts of the body but also healthy parts which in turn causes diseases such as cancer and heart disease. Carnosine is an important amino acid and natural antioxidant found in high amounts in the brain, lens of the human eye and muscle tissue. It is capable of protecting cell membranes and cell structures. It is also effective against muscle fatigue, reducing stress, hyperactivity, and helping sleep patterns. Another antioxidant is Lycopene which can be found in tomatoes and tomato based products. As we age, levels of lycopene in the blood are reduced. Lycopene is required in organs such as the adrenal glands, prostate, liver colon, and testes. It appears that lycopene gives protection against cancer in the digestive tract. Yet another antioxidant is Lipoic acid which is a co-factor in the conversion of carbohydrates to energy. Lypoic acid is both water and fat soluble and can eliminate free radicals in the water compartment of a cell and protects against oxidation. It breaks down sugars so that energy can be produced and is one of the most important antioxidant. It is sometimes referred to as the universal antioxidant because of it's ability to quench free radicals both in water and fat cells. Xanthones have strong antioxidant effects on the nervous system and are also known to produce agreeable and delightful feelings. It is a great benefit to those who suffer from depression and acts to reduce appetites and obsessions. It produces a series of hormonal reactions that trigger the release of dopamine in the pleasure centers of the brain. Dopamine is an energizing neurotransmitter, which can increase or decrease output by brain cells causing a domino effect. Dopamine helps stimulate the pituitary gland that releases growth hormone and also helps in improving the immune response. It also acts to stimulate brain activity no matter what the age. Dopamine levels in the body are known to decrease with age. Blueberries are considered a big part of the reversal in motor dysfunction that occurs with aging and dopamine deficiency.